The new digihop is going to start soon (upload 13-17th Feb) and this month it is all romance. 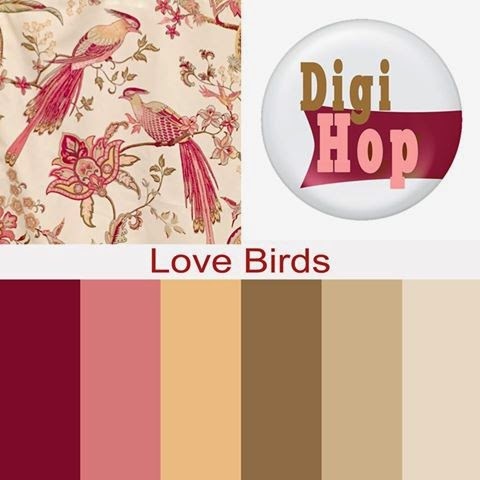 Theme lovebirds! Hope you like it! I am working hard on my new store. I will make a post about it soon. In the meanwhile, my store at CSD is still on sale and will close at Feb 28th. Many of my products at CSD will not be available again, so grab them while you can! 35 % off! Hoi Elsina fijn weekend...alles goed daar...?....liefs van mij...x! Even een dikke hug voor jou. Succes met je nieuwe store. Lovely!! I'm making a wedding album for my nephew and the heart papers will be PERFECT!! Thanks for your continued sharing of your talents with us! This is lovely; especially the papers! thank you for sharing.